Rush University Medical Center is seeking a BE/BC Radiation Oncologist to join its expanding academic practice in the heart of Chicago. Physicians have access to IMRT, IGRT, SRS, SBRT, respiratory motion management, HDR and LDR brachytherapy. The successful candidate will be competent in all areas of radiation oncology with a focus on GYN malignancies with demonstrated interest in brachytherapy and/or CNS malignancies. Academic productivity and clinical research are expected. 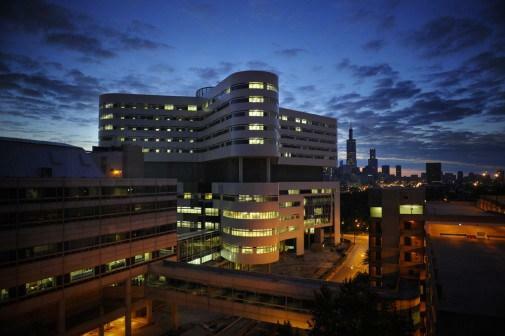 The medical center is undergoing rapid expansion and currently hosts the largest gynecologic oncology and CNS practices in the city of Chicago. The university is dedicating considerable resources and taking the necessary steps to become a destination cancer center. To that extent we will soon break ground for a new ambulatory care building with a focus on cancer care and neurosciences. The center is slated to be open in the first part of 2022. Faculty appointment and compensation will be commensurate with the level of experience. Rush is an academic health system whose mission is to improve the health of the people and the diverse communities it serves through the integration of outstanding patient care, education, and research and community partnerships. The Rush system comprises Rush University Medical Center, Rush University, Rush Copley Medical Center and Rush Oak Park Hospital, as well as numerous outpatient care facilities. Rush University, with more than 2,500 students, is a health sciences university that comprises Rush Medical College, the College of Nursing, the College of Health Sciences and the Graduate College. Numerous national organizations have recognized Rush for the quality of care we provide, including U.S. News & World Report, which ranked Rush University Medical Center among the top 50 hospitals in 7 of 16 specialties in its 2018-2019 Best Hospitals issue. Rush University Medical Center has received Vizient's Quality Leadership Award, ranking second among 99 academic medical centers across the country. In 2018, Rush was named a leader in LGBT health care equality by the Human Rights Campaign for the ninth consecutive year, and was one of only five hospitals from across the nation to be recognized by the American Hospital Association as an honoree for its annual Equity of Care Award.